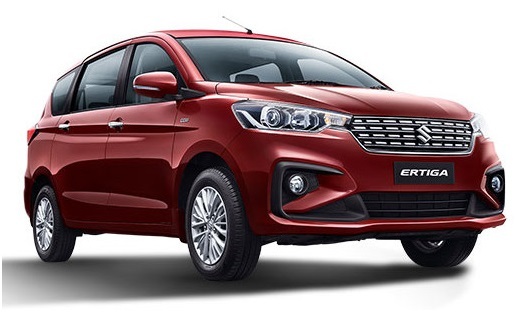 Maruti has come up with this stunning looking Ertiga that has taken the esthetic to a whole new level. In comparison to its previous models, it stands out in many different ways. Considering its outside design with the comfy and luxurious interior, it is an absolute champion among its rivals. As Maruti is well aware of the love of Indians towards color, it has come up with 5 color options namely: Auburn Red, Oxford Blue, Magma Grey, Silky Silver, and Arctic White. You can choose any color variant that best suits your personality. Sidewise, it is larger, taller, wider and longer than its previous model. The ground clearance is a little bit higher.